I didn’t quite understand the meaning of the phrase “cozy mystery” until I read Holly Throsby. There’s such a warm accessibility to her work that it truly feels welcoming and cozy – as if the reader were invited to an inclusive party. 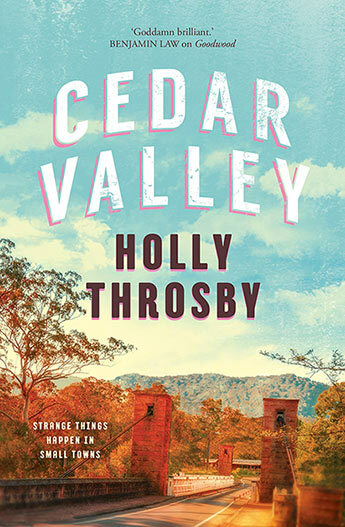 Cedar Valley isn’t a sequel to Throsby’s first novel Goodwood, but there’s a definite connection, not just because Goodwood is mentioned as a nearby town with some character overlaps – a little Easter egg for anyone who has read Goodwood, but also because Cedar Valley takes on a similar landscape. The setting is a small quiet town several hours from Sydney where everyone knows everyone else and has a long memory. The year is 1993 and Benny Miller has just arrived. Benny is a twenty one year old who has spent her whole life in Sydney where she has just completed university, quit her pub job and decided to take up the offer of a friend of her recently deceased mother to come stay in her mother’s old cottage in Cedar Valley. Benny knows nothing about town, the friend, and very little about her own mother, who had abandoned her when she was a small child, but something in Benny draws her to Cedar Valley. At the very same time that Benny arrives, so does another stranger – a good looking man, dressed inappropriately well, who sits down on the footpath for a while, conducts a series of odd stretches, and then dies. This is the premise of the story, in which twin narratives are built around those unusual arrivals to the otherwise insular town. It’s strangely compelling and reads quickly as the reader follows a series of clues like breadcrumbs to arrive more at a kind of truth than the ‘facts’. The story unfolds gently in alternating sections in which Benny’s story arc moves in parallel to the investigation. The mystery man, whose baffling death mirrors the real life Tamam Shud case of 1948 – a mystery that has never been solved, is mostly presented via the point of view of a “reluctant resident “ named Detective Sargeant Anthony Simmons. Simmons bulk and hard stance makes a nice balance to the delicate complexity of Benny, whose grief for the mother she never knew and the self she doesn’t understand is intertwined with Simmons’ quest for answers about the death. Benny resembles her mother, the elusive Vivian Alice Moon, and the locals knew her and provide bits of information to Benny, and the reader that also function as clues that are evocative. Cedar Valley is both light-hearted and humorous, but also serious. Benny in particular is a character that comes across as sincere, and her story is a coming-of-age that transforms the mystery in ways that is affirmative. Throsby said that Goodwood was modelled somewhat on the television series Northern Exposure and Cedar Valley has a very similar quality. Even in the midst of tragedy, people gossiping or sinister men making threatening comments, there’s no darkness in Cedar Valley. The strong sense of community as typified in the pub: ‘You’ll want to talk to people here. Listen to people. We care for them.’ (121) and of a kind of tolerance that comes with the acceptance of people’s individual quirkiness. Cedar Valley is a richly depicted novel, that makes for an easy, delightful read, full of humorous details and pithy observations. 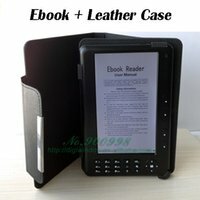 It’s hard to imagine anyone not liking this book.